It is about a prince who was rescued from the recent mob outbreak from a Fallen Kingdom. He was found and raised by Travellers and Villagers. 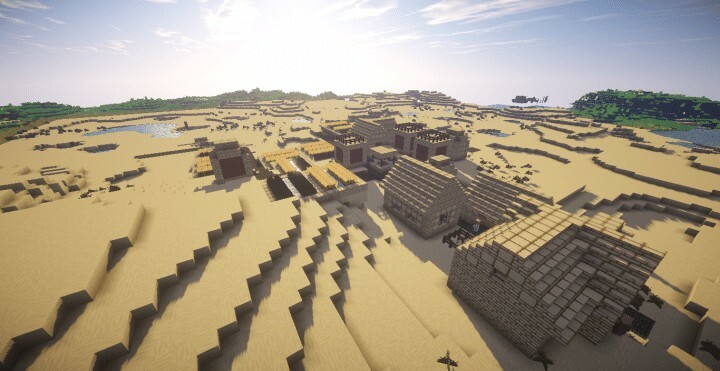 Little did he know that his Village is in danger from Herobrine. The one who caused the mob outbreak in Fallen Kingdom. As the prince stop the danger. He also travelled to destroy Herobrine and avenge his father. -Trade and get stuff with emeralds to Wizards,Blacksmiths and Travel Suppliers. -Play as the one in the music video. -Find scattered emeralds in the Kingdom,Training area and Desert Village to buy weapons and other stuff.